"One day our descendants will think it incredible that we paid so much attention to things like the amount of melanin in our skin or the shape of our eyes or our gender instead of the unique identities of each of us as complex human beings." "It's no secret that I'm a fan of the Center of Puppetry Arts. Their puppets shows are not only educational but are full of humor, songs, and audience participation." 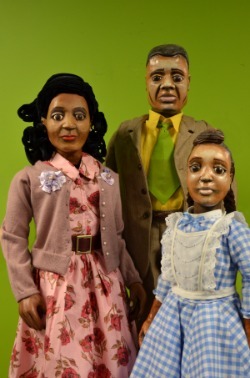 In celebration of Black History Month the Center For Puppetry Arts Presents "Ruth and the Green Book". Chronicling a relatively-unknown chapter in Civil Rights history, Ruth and the Green Book follows an African American family as they travel from Chicago to Alabama in the Jim Crow South of the 1950s. After being turned away from hotels, gas stations and restaurants, 8-year-old Ruth and her parents are introduced to "The Green Book," a travel guide for black motorists conceived as a response to the humiliation and violence experienced by African Americans while traveling. Using an innovative combination of puppetry and animated projections that are inspired by the book's evocative illustrations, this collaboration between Artistic Director Jon Ludwig and author Calvin Alexander Ramsey celebrates this great guidebook that helped Ruth's family, like many others, find safe routes to welcoming places and people. As part of the Teen & Adult performance series, Ruth and the Green Book is recommended for ages nine and up. Produced by special arrangement with Lerner Publishing Group. Ruth and The Green Book runs from Feb 7th to 26th at the downstairs theater. 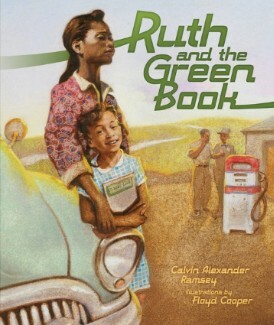 "Ruth and the Green Book" books are available for sale in the Center's Museum Store! It would be fun to take my daughter to such an educational event.